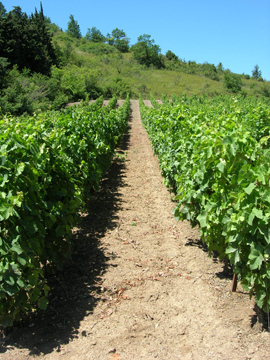 Planting a new vineyard, or replacing an old one, is a long-term investment. There are many permutations of grape variety, clone, rootstock, planting density and training system and it is vital to make the right choice from the start. NWWS takes a scientific approach to planning vineyard plantings, with a detailed study of climate and soil, but also considers which combination of variety and yield will be commercially appropriate. From preparation of the soil through to canopy management, we coordinate the efforts of specialist service providers and laboratories at each step of the process. NWWS has been working in close collaboration with the leading French vine nursery, Mercier Group, for more than ten years, particularly in the vineyards of the Balkans and Eastern Europe. We are also pleased to be able to call on the independent services of world-renowned viticulturalist Dr Richard Smart, called by some “the flying vine doctor”.